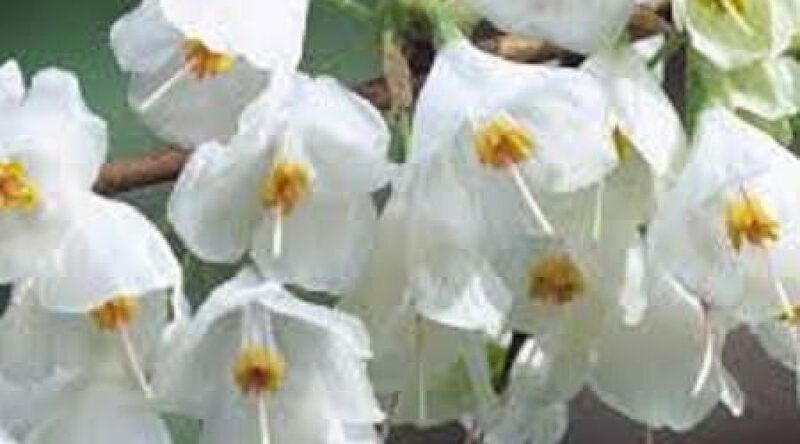 Clusters of pendulous white flowers with a golden-yellow center and light scent in late spring. The flowers are borne on branches of one year old wood. dark green turning golden yellow in a autumn. Full sun to light shade in fertile well drained soil. Often sold as tree but also makes superb tall shrub.